Born at Iroquois, Ontario on 27 November 1893, daughter of James Calvin Hamilton (1861-1939) and Martha Hester Briggs (1864-1940), her family moved to a farm south of Ochre River in December 1898. She was educated at Hamilton School, Dauphin Collegiate, Dauphin Normal School, and Central Normal School. She began teaching at Drifting River School, then at Minnedosa and Gilbert Plains before spending 38 years in Dauphin schools specializing in drama, art, and music. She finished her career at Fort Churchill, Kenora, and Edmonton. She was active with the Dauphin Little Theatre. 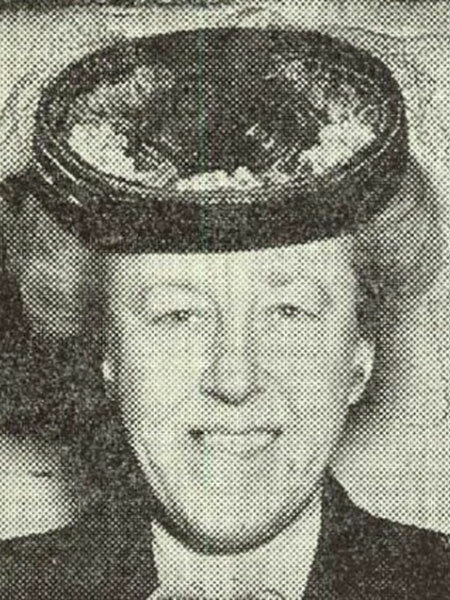 She served as President of the Manitoba Teachers’ Society (1945-1946), President of the Advisory Board of the Manitoba Department of Education, and Vice-President of the Provincial Council of Women. In recognition of her community service, she received the Canadian Centennial Medal (1967). She retired to Ochre River where she led an adult education group for fine arts, taught piano lessons, and helped to compile a history book for the municipality (1970). She died unmarried at Dauphin on 5 June 1985 and was buried in the Ochre River Municipal Cemetery. “Life membership in Council of Women for Mary Hamilton,” Winnipeg Tribune, 30 December 1953, page 11. “The J. C. Hamilton family,” Between Mountain and Lake: A History of Ochre River Rural Municipality, 1885-1970 by Ochre River Women’s Institute, pages 125-131. “Hamilton: Remembering the days when a teacher was respected,” Dauphin Herald, 25 July 1979, page 2. Obituary, Dauphin Herald, 18 June 1985, page 31.